SAA Holidays bookings qualify to take part in the exclusive SouthAfrica.TO travel vouchers for travel writeups program. Email a writeup of your trip & photos to cheapflights@southafrica.to and depending on the quality we'll email vouchers to discount the cost of flights, car hire or cruises booked via South Africa Travel Online (as we are independent of SAA Holidays, the vouchers cannot be used to discount the cost of trips booked with them). Smart travellers are waking up to the fact that they can often book a cheaper combination of flights, car rentals & accommodation by doing it all through the airline's internal travel agency. South African Airways' passengers can now enjoy the convenience of booking holiday packages through SAA Holidays. SAA Holidays can be thought of as South African Airways' internal travel agency, packaging these deals together. The reason they can get cheaper packages, is that hotels offer bulk discounts to travel agents on the condition that they may not sell stays on a stand-alone basis at a lower fare than the hotel itself does (but they can package together with something else and reduce the price). Whereas Kulula Holidays focuses on trips within southern African (mostly where Kulula & British Airways Comair fly to), SAA Holidays covers a wide swathe of destinations across the globe. Flights to any of the destinations in SAA's route network can be booked in conjunction with accommodation and car hire. Tickets to any special events that are happening at the destination at the time of travel can also be included in the package deal. "SAA Holidays was born from the idea that South African Airways, as the South African national carrier and Africa's most awarded airline, can assist in stimulating cost effective travel from South Africa. SAA Holidays will further support our route network and offer added value to our customers with holiday packages," says Theunis Potgieter, SAA General Manager Commercial. The typical SAA Holidays package consists of a flight, a car rental and accommodation; but a lot of deals are land only (ie car hire plus accommodation) and there are some which are hotel only. Let's have a look under the bonnet to see what's on offer. 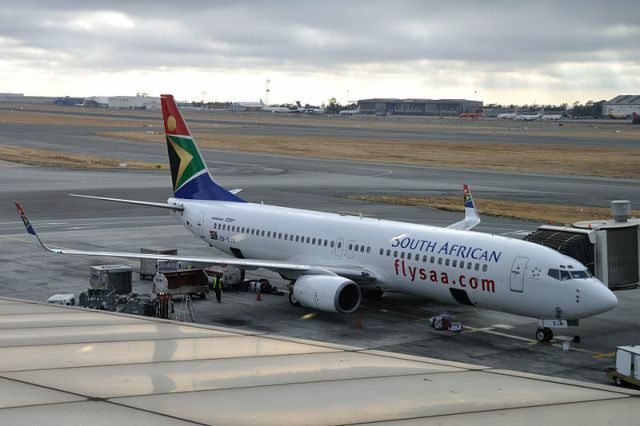 It's mostly SAA flights and the airline's code share partner - like Mango Airlines, SA Express, SA Airlink on domestic flights in South Africa, as well as a large (& steadily growing) number of foreign airlines (like Emirates, Qantas, TAM,...). Car hire included is normally with Avis and offers 200km free daily. Even though SAA has car rental deals with Avis, Hertz, Europcar & Budget; these package deals are mostly (all?) with Avis. As mentioned, there are loads of destinations, so let's start off with SAA Holidays in South Africa - in a similar vein to Kulula Travel, a lot of the deals are together with the Protea Hotel group. The meals offered vary according to the particular hotel chosen, as do other services such as complimentary wifi. There are plenty of SAA flights to Cape Town and also plenty of codeshare it offers from other cities (e.g. Mango Airlines & SA Express from Durban). These flights can be packaged with a number of hotels on offer; including the African Pride Chrystal Towers Hotel & Spa, Bantry Bay Suites hotel, Best Western Cape Suites, The Commodore Hotel, Devon Valley Hotel (Stellenbosch), Harbour Bridge Hotel & Suites, The Hyde, Pepper Club, Protea Hotel Cape Castle, Protea Hotel Fire & Ice, Protea Hotel President, Radisson Blu Hotel Waterfront, Southern Sun Waterfront, The Twelve Apostles Hotel & Spa, Three Cities Bantry Bay Suite Hotel, Hotel Verde, Vineyard hotel & Winchester Mansions. Cape Town is by far the destination to which SAA Holidays has the biggest offering (ie the same as Kulula Travel). There are also a lot of SAA flights to Durban, but I'm afraid the accommodation offering isn't quite as big : Protea Hotel Edward & Three Cities Riverside Hotel & Spa. Whilst in Durban itself there aren't a lot of options, there are also some packages to Ballito & Umhlanga; although even adding these in, it isn't as big as the airline's options to Cape Town. The Fancourt Hotel, Hyatt Regency Oubaai Golf Resort & Spa. Amakhala Woodbury Tented Camp, Kuzuko Lodge, Protea Hotel Marine & The Zuurberg Mountain Village. I didn't see the Radisson Blu Port Elizabeth on the list, which won the award for best hotel in Port Elizabeth. SAA Holidays offers accommoation at The Oyster Box (which was voted the 10th best hotel in South Africa), Umhlanga Ridge & Protea Hotel Umhlanga. Picking are a lot slimmer in Africa outside of South Africa, with SAA Holidays offers packages to Dar es Salaam (Southern Sun Dar es Salaam), Maputo (Hotel Cardoso & Southern Sun Maputo) and Victoria Falls (Cresta Sprayview & Elephant Hills Resort). There are South African Airways flights to Perth and you can package these together with the Four Points by Sheraton or Sullivans Hotel Perth. SAA also sells Qantas flights on codeshare, which can be packaged together with the Holiday Inn Darling Harbour or the Travelodge Sydney. If you fly onward to Auckland there's the Auckland Rose Park Hotel. There are SAA flights to Mauritius, and you can package them together with a variety of hotels in the Honeymoon Capital. Although South African Airways doesn't fly to Zanzibar, its affiliate partner Mango Airlines, does - you can package together their flights with a variety of resort accommodation on the spice island. There are also no South African Airways flights to Dubai, but you can book with Emirates, their codeshare partner, and stay at Atlantis the Palm, JW Marriott Marquis & Sofitel Dubai Jumeirah Beach. Given the SAA flights to London as well as to Frankfurt, and that the UK is practically a 10th province of South Africa, there are surprisingly few package holiday options to Europe. In London there's the Royal National Hotel, in Frankfurt the Alleenhof Hotel and in Paris Disneyland's Hotel Cheyenne. In the Far East SAA Holidays are offering packages to Beijing (King Parkview Hotel & Red Wall Hotel), Hong Kong (The Kimberley Hotel) & Mumbai (The Emerald Hotel, The Leela Kempinski & Shalimar). There are South African Airways flights to Sao Paulo, and you can package these together with the SAo Paulo Hotel. There are no longer direct SAA flights to Buenos Aires, but you can fly via Sao Paulo and then stay at the Bristol Hotel. It remains to be seen whether they will keep offering this package holiday after they quit direct flights. There are SAA flights to New York & Washington; both of which you can package together with accommodation. In New York you can stay at the Holiday Inn Lower East Side. In Washington you can stay at the Holiday Inn Express Hotel & Suites. There are also a couple of options at Walt Disney - Disney's Pop Century Resort and Disney's Coronado Springs. Surprisingly, there are no SAA Holidays cruises from Durban or Cape Town with MSC Cruises. The airline has partnered up with Costa Cruises offering cruises from Dubai and Barcelona. The SAA Holidays website, is rather difficult to navigate, as there isn't an opportunity to select the individual cities in South Africa - rather, there is an option for South Africa which you can page through to find the correct city. Unfortunately the website doesn't take online bookings, but only enquiries, after which a consultant will contact you. Click here to navigate to the official website. 1 June 2012. SAA Holidays launches its first phase which focuses on selling packages from South Africa and SADC (Southern African Development Community) countries.